Before we drove to Agra, we spent some time in Delhi with our relatives to look at some of the historical places, like the Lotus Temple and Gandhi’s memorial site where he was shot and cremated. 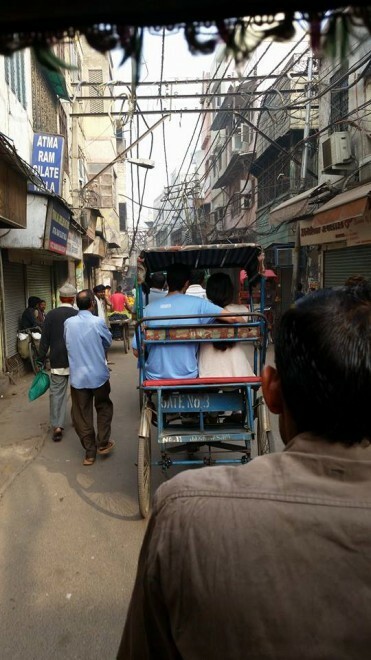 We also visited the largest mosque in India (the women were required to wear mumu-like wraps to cover their bodies) and took a rickshaw ride through the alleyway bazaars. Holy crap, those things are scary but interesting. And we saw a show that was kind of like an Indian musical, with Bollywood dancing and everything. I forgot to mention that every car has some sort of idol on the dashboard: Shiva, Ganesh, etc. The car that took us to Agra had these, as well as peacock feathers. Trucks are all painted and decked out with ornamentation. On the road I also spotted these weird car things with huge horns attached to them; they looked like something out of Doctor Suess. Agra wasn’t how I imagined it. I’m sure it was a little different back in the day, but now it’s downscaled and downtrodden. You can see where they had the old cantonment during the British Raj, but now it’s all scraped out. It’s still called the cantonment area, though. That afternoon we finally saw the Taj Mahal. Walking through the western gate, it doesn’t look real. At all. You see so many pictures of it, but when you stand before it in real life, it just doesn’t look or feel like it’s actually there. It’s breathtaking seeing it in person, and it’s huge. 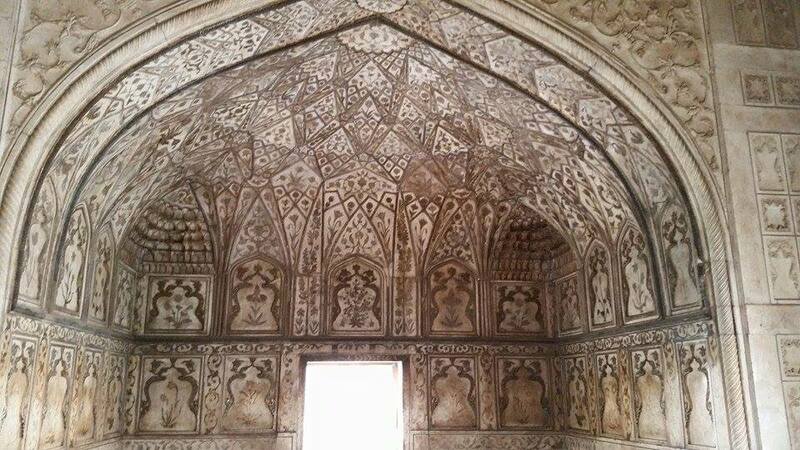 For those who don’t know, it was built in the 1600s by Emperor Shah Jahan as a tomb for his third and last wife. Supposedly her last wishes were for him to treat his children as a father instead of as a king, to build a monument in her honor, and to not take up another wife. As we were walking around, looking out at the Yamuna River that bends behind the Taj, a family approached me and asked if I could take a picture. I thought they meant for me to take it of them (which has happened a few times now on this trip), but no, they wanted to take a family portrait with me. This was probably a local family or from a place without many tourists. They saw a tall American and thought I looked exotic, or something. I wanted to be like, um, I am half Indian you know, but I took the picture with them anyway. My father got the same treatment when he visited with my mom a few years ago. As we were walking away, another family wanted a picture. Ugh. The next day we looked at the Agra fort, where Shah Jahan was imprisoned by his son in the last years of his life. It offers a nice view of the Taj, which we mostly saw through fog, and rolling arches and columns everywhere. Oh, and we stopped by a McDonald’s here. Naturally, there are no cheeseburgers, but there are lots of chicken sandwiches (my favorite: the Chicken Maharaja Mac), a McPaneer Royale, and aloo (potato) sandwiches. SO WEIRD. And the spicy chicken was really, really spicy. They don’t play around. We drove back to Delhi the next day, where we took a plane to Amritsar. We’re about to go see the Golden Temple and hopefully do a little shopping. Oh god what a long train ride. 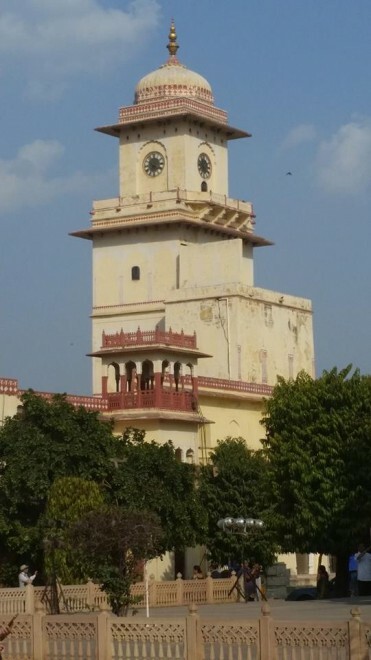 But we reached Gwalior in the afternoon of the 19th and stayed at this really beautiful hotel that used to be the guest house for the Maharaja of Gwalior. The actual palace was just across the street, which we toured. The hotel was definitely atmospheric, and we saw parrots all over the place. I heard the cries of peacocks, but never actually saw any. The palace was an interesting blend of Indian and European. 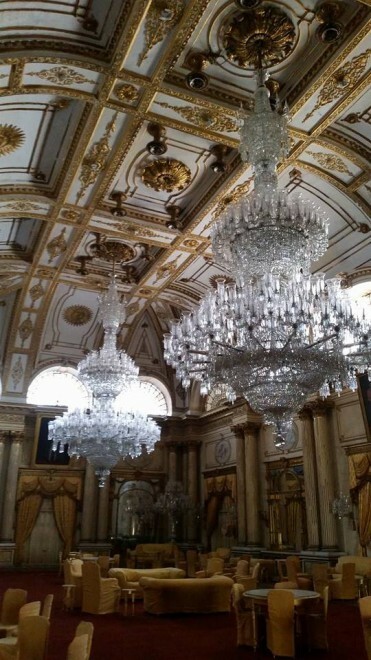 It houses the biggest chandelier in the world! I was very happy. The next day we went up to tour the fort. 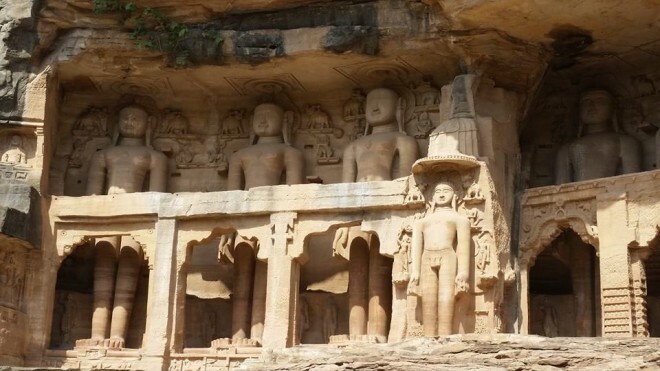 It’s on a big hill overlooking all of Gwalior, and lining the pass are huge Jain carvings in the rock. Jainism is pretty close to Buddhism, although the Buddhist statues have their eyes closed whereas the Jain ones have their eyes open. The fort was lovely. We saw the different courtyards they used for singing and dancing, and the Maharaja would stand up on a balcony with a golden umbrella to watch. In the dancing courtyard there used to be mirrors and gems in the walls, reflecting the dancers as the eight queens watched behind their latticework windows. I also banged my head pretty hard on one of the lower doorways. Apparently the Maharaja was a short guy. We saw the different temples as well, including one built for the Maharaja’s mother-in-law that used to house an idol of Vishnu. 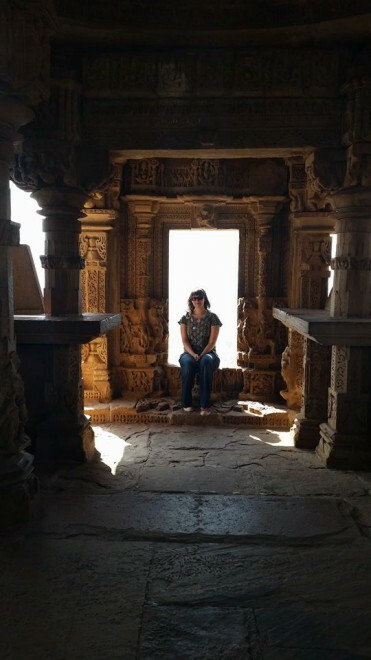 All of the idols, like the one for the Shiva temple, were taken by the Mughals when they invaded—as well as all those mirrors and gems in the old palace. Then the British came and turned the palace into a fort, but at least they preserved whatever statues were left. There was a Gurudwara nearby as well, which we visited. 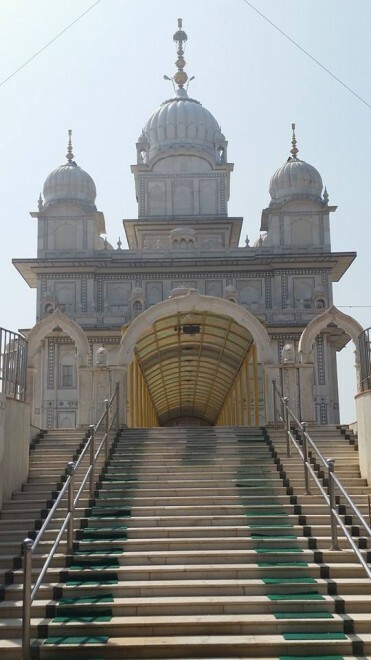 My mother is Sikh and I grew up going to these temples, but this was slightly different from the American ones. Same concept and everything, but little touches that were different, such as wading through a small pool of water before you cross the threshold (you have to be barefoot/clean to go into the temple, as well as having your head covered and having an offering). The prasad tasted just the same, though. That night we took an express train back to Delhi, where we met with our other relatives. 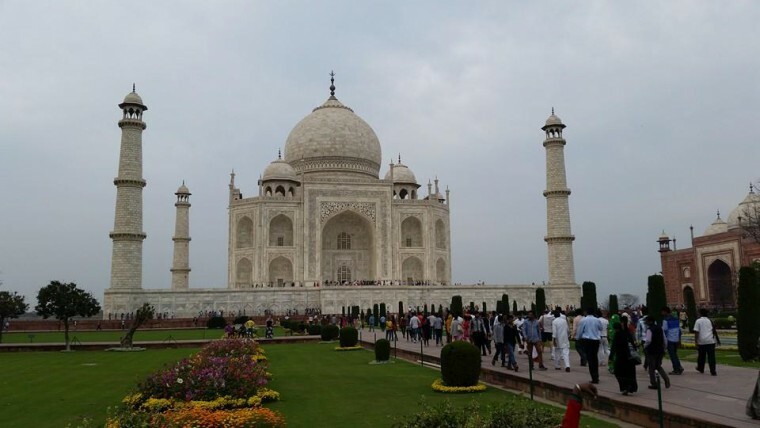 Then we go to Agra. 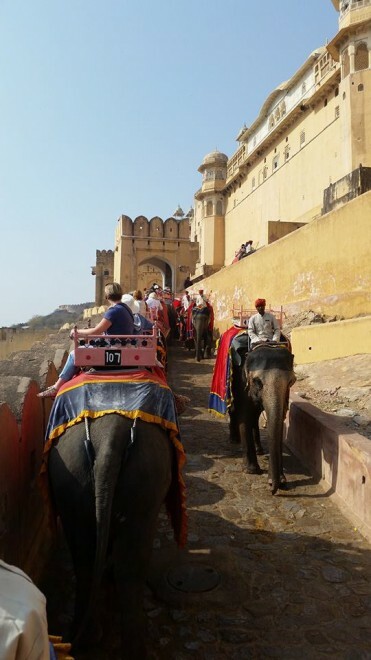 During our second day in Jaipur, we went to the Amber (Amer) Palace/Fort, where you can ride elephants up to the top. We stood in a long line (it’s a very touristy thing to do) and at the front, we hopped onto our painted elephant and trundled up to the palace. Riding an elephant is not smooth. I think I rode one once when I was very little, but not sitting sideways like this, jostling back and forth with the animal’s movement. We also got sprayed by water from its trunk quite a few times—a blessing, as the driver called it. At the top, we explored the ancient palace/fort, which was built in the 16th century by Raja Man Singh I. 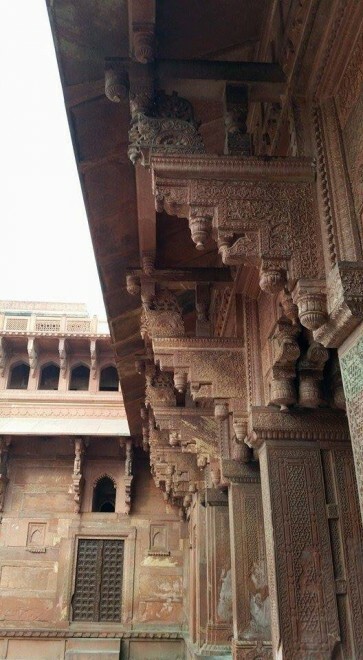 There are a few different courtyards, one of them leading to the Ganesh Pol (Gate). Above the gate are latticework windows. The women of the court sat at these windows to look at what was happening in the courtyard without having to be seen (seclusion of women was pretty popular). We also saw the courtyard for the harem, as well as where their apartments were. There’s also a hall of mirrors, which was really beautiful. The protective wall of the fort extends a huge distance across the mountains, and you can see where they tore a segment down to build the town of Amer. It’s not unlike the Great Wall of China, but on a smaller scale. 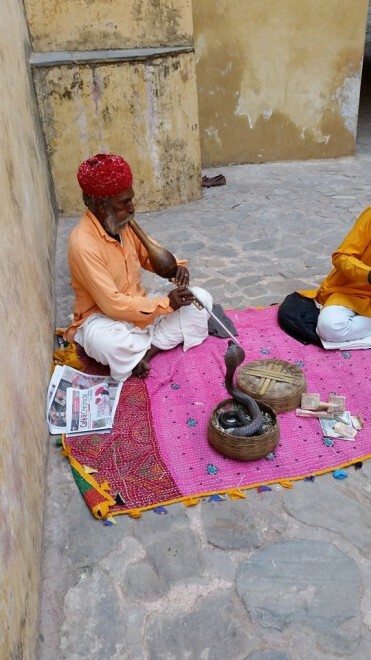 Also, there was a snake charmer! We had lunch and then sat with an Indian astrologer, since my mother wanted our palms read. Supposedly, my brain line is very long, which indicates high intelligence and a practical nature (hmm). And apparently I will have a very handsome husband and two children. All my mother was focused on was if said handsome husband made good money. 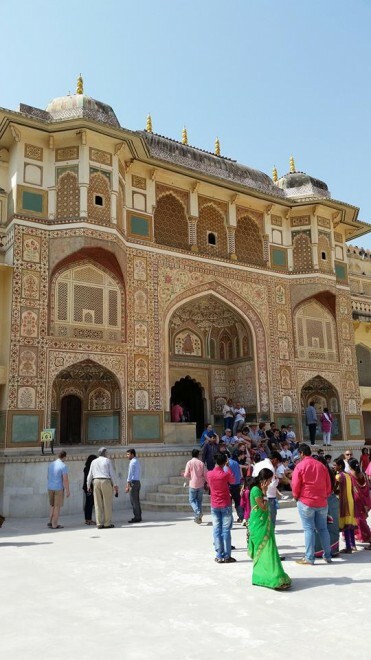 The City Palace of Jaipur was next. There’s a large courtyard, an observatory called the Jantar Mantar, which houses a bunch of large astronomical/timekeeping devices from way back when. One of these is the largest sundial in the world. 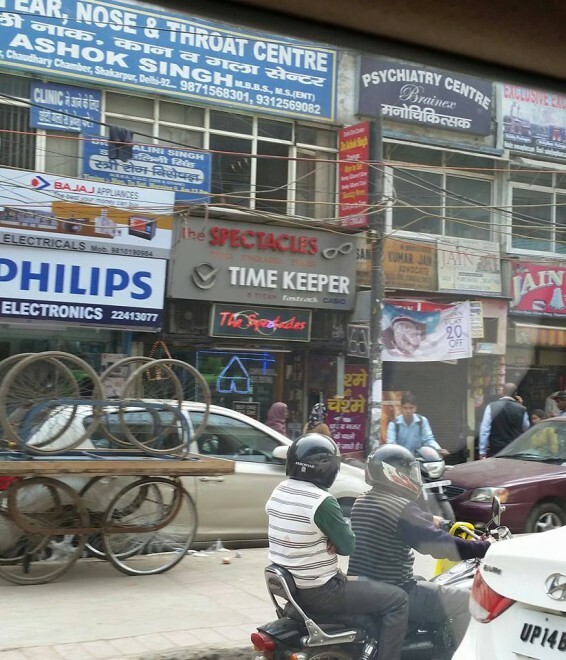 Also, from here, you can see the Jaipur clock tower. Needless to say, I was thrilled. There’s an armory here with a bunch of awesome collections of weaponry and armor from various periods. My personal favorite piece: a dagger with twin pistols attached to either side. You stab someone and then pull both triggers, shooting them twice. Just to make sure they’re really, really dead. We rounded off the day with some shopping, and I got to see where they cut jewels they mine right here in India. My mother insisted I get an emerald ring, since the astrologer said that would be a lucky stone for me. Next: a train ride to Gwalior. Today we drove from Delhi to Jaipur. Horribly car sick. Also experienced the horror of Indian toilets without toilet paper. I will not go into detail. On the road, I saw so many animals. Goats, pigs, chickens, cows, oxen, monkeys, ELEPHANTS, etc. I also saw a lot of the Indian condition: dilapidated buildings in close proximity to high-rises that are currently undergoing construction; women in bright saris carrying children, laundry, and harvest; and dusty plains across the street from grassy plains. A lot of people stared at me, even in the car. When I’m with my mother they assume we’re not related, and when my mother says we’re together or that I’m her daughter I can see their confusion. We get the same thing in America, but it’s more pronounced here, where I’m the minority. 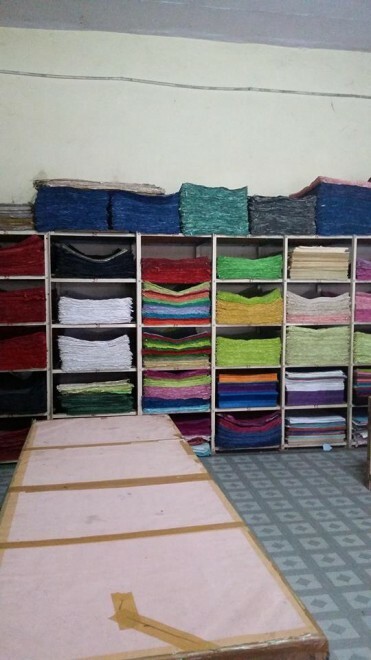 In Jaipur, we got a tour of a textile facility where they make things from scratch. 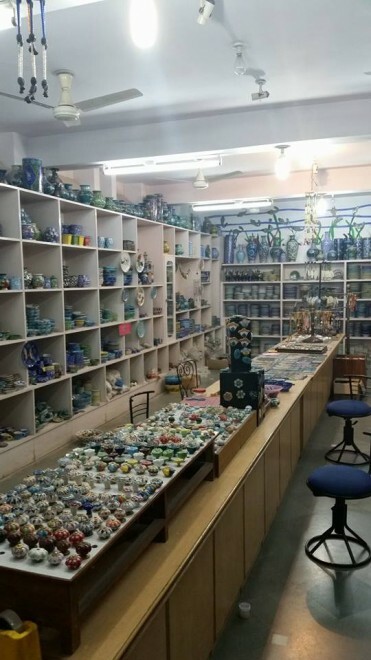 In the first part, they showed us a big kiln where they fire up the ceramics and then sand them down, paint designs, and glaze them. In the second part, they showed us a fabric press room where they do all the designs by hand via blocks. 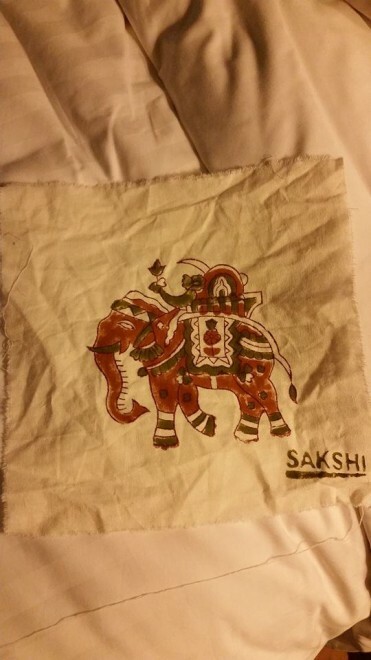 They make natural pigments (for example, using curry powder) and paint them on the etched blocks, then line them all up by hand to add color to the fabric. I got to try it on my own square of cotton and was very happy. The third part was the paper-making plant. The process starts with cut-up bits of cotton, which gets churned and then put into dyed water. Men scoop out the fibers and spread them across a board, put a sheet of cotton over it, and flip it over to drain the water. When it dries, it becomes rough paper that gets pressed into smoother sheets. They had all different colors, designs, and textures. It was so cool to see the behind-the-scenes process, and even see how they folded them into bags for retail use. Hindi music was blaring as we walked around. Holi is coming on March 6, which means we’re missing it by a few days, which makes me SO sad. I’ve always wanted to experience Holi in India. On our way back to the hotel, a group of men crossed the street and everyone stopped for them to go by. One man was carrying a small, white-shrouded bundle, and I knew immediately that it was a child. They were performing a funeral, which we were told is common for someone so young. As fascinating as India is, it knows how to sober you in a heartbeat. Tomorrow we’re doing elephant rides and looking around the city. My second thought: I am going to die in a traffic accident. I know about the roads in India, but to drive on them is something altogether different. There are no traffic rules except for stopping at red lights. Everyone weaves in and out of lanes, rendering them completely pointless. All the cars, buses, motorcycles, and rickshaws are within a centimeter of each other, and you can see all the scratches and dings on their sides from how many times they’ve hit another moving vehicle. And the honking is constant. 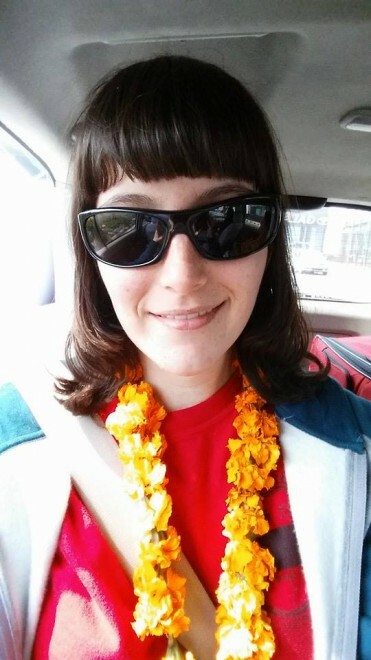 We received necklaces of marigold flowers when we arrived, a welcoming tradition with a religious aspect. Every time I moved I smelled them. Looking out the car window, I was motion sick within a minute, but couldn’t look away from the streets. At the airport I thought, this isn’t so different. And then we drove away from the airport. First of all, people pass out in the middle of anywhere to nap; mostly on patches of grass. The streets are an uncanny blend of western consumerism and eastern poverty. Whenever the traffic stops, people—mostly children—come up to the cars and tap on the windows to sell toys, balloons, pieces of coconut. We even passed a dancing boy who smacked the side of the car door for money, which we knew we couldn’t give to him because of how the begging system is rigged in India. By the time I got to the hotel I was ready to sleep for a million years. In fact, I slept for 12. Or maybe 11; we were woken around 9 by the sound of what I first thought was gunfire, then turned out to be fireworks. Across the street, a wedding was going on, and low-firing fireworks were being set off. Weddings are a big deal. Today we are getting over jetlag. We did leave the hotel to go shopping, since my mother wants me to have a few ready-made Indian shirts (I’ve outgrown all my old Indian clothes). Motion sick again, but chewing gum helped. This time I saw goats, cows, and dogs in the streets. Motorcycles are everywhere, and it’s a common sight to see two guys speeding away somewhere with one of them checking his smart phone. For a poverty-stricken country, India loves technology. Interesting fact about the motorcycles, though: only men are, by law, forced to wear helmets. Women aren’t forced to wear them because it clashes with their hair and outfits. Naturally. Also, there are pigeons. Everywhere. It’s a Hindu custom to feed pigeons, as it’s believed to cleanse you of sins you may or may not be aware of. However, it does nothing to cleanse the city. India is called the land of festivals. Today was the festival of Maha Shivratri, when people celebrate the god Shiva and how he danced the tandava, which created the universe, and which he will eventually destroy with the same dance. I was so delighted to hear this, mostly because 1) I’ve always been fascinated by Shiva, and 2) I mention this in the second Timekeeper book. At the mall—a newer structure, only ten years old or so—we were bombarded by western stores, but found a few Indian ones. Then, strangely, we ate at an Asian fusion place that had pretty good food. I never expected to find sushi in India (sadly, or wisely, I did not try it). Security is everywhere. You go through detectors and have your car checked wherever you go. It makes me wonder why no one has set a dystopian novel in India; it’s the perfect setting. (No, I will not write one. Dystopian is not my thing). Overall: Delhi is exhausting and crazy. 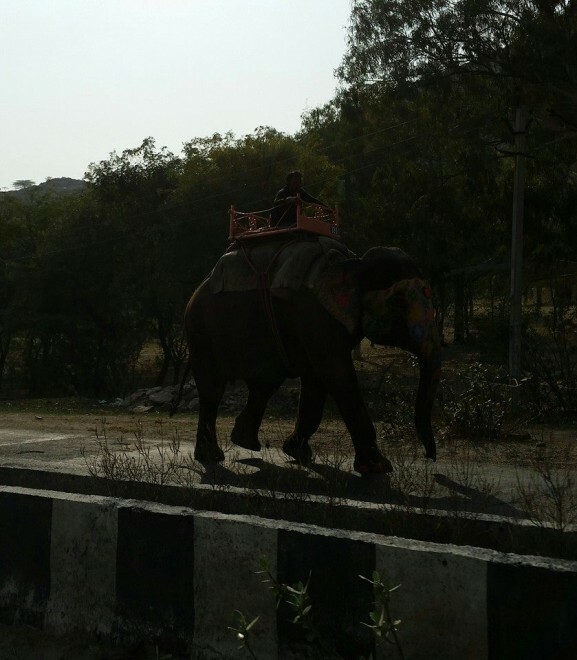 Tomorrow we go to Jaipur, where I hear there are historical things and elephants. I’m excited to get out of Delhi and see more historical stuff. But mostly I’m excited about the elephants. A lot of writers I know have particular songs they associate with their projects. Famous authors such as Rainbow Rowell keep playlists for books they write and then share them with their fans. I think this is a really cool idea: sharing your book music with others. It helps both the writer and the reader envision the story better. So, what sort of music should you be looking for? That’s entirely up to you. For me, when I hear a certain song and the lyrics and/or tone fit perfectly with a character, or theme, or even just one particular scene, my brain floods with images of my story. It even pumps me up for writing and editing later on. What sort of music best fits your book? I’ve been nominated to do a Very Inspiring Blogger Award post by the awesome Emily Skrutskie, former literary team member and the Captain America to my Iron Man, whose debut novel THE ABYSS SURROUNDS US will be out in 2016! For the post, I’m supposed to list seven things about myself and then nominate others to take part. So let’s go! 1. I’m mixed-race, but don’t look it. My mother is Indian and immigrated to America when she was young, and met my American father in San Francisco. I’m the confusing result. TA-DA. 2. Actually, related to #1, I don’t look like either of my parents–I look the most like my late aunt on my father’s side. At a family reunion a few years ago, everyone told me how much I look exactly like her. Which is awesome, because I bonded with her a lot when I was little. 3. Before writing, singing was my first love. I dreamed of being a professional singer or going on Broadway all the time, but I am very bad at auditioning due to stage fright, which meant I never got good roles in high school. Strangely, I never got stage fright when I was actually performing. Just during auditions. But in college I had a lot of solos, got a scholarship for being accepted into a special choir, and even sang opera. 4. Between 2012 and 2013, I wrote 1,000,000 words. I’m not sure how that happened. 5. I got a tattoo on my back senior year of college with my writing symbol. It was the same day the seniors were going to the movies. I sat through Jane Eyre perched on the edge of my seat so that I didn’t disturb the new tattoo. Very uncomfortable. I also plan to get more tattoos of different book projects if I get them published (and not before going to the movies). 6. I have a sweet tooth with cravings that border on worrisome. Seriously, all I want right now is a big chocolate cake. Olivia Berrier – Bestie, critique partner, Hollins alum. K Kazul Wolf – Online pal, fantasy writer, Pitch Wars alum. Tabitha Martin – Twitter friend, Sims aficionado, literary agency alum.